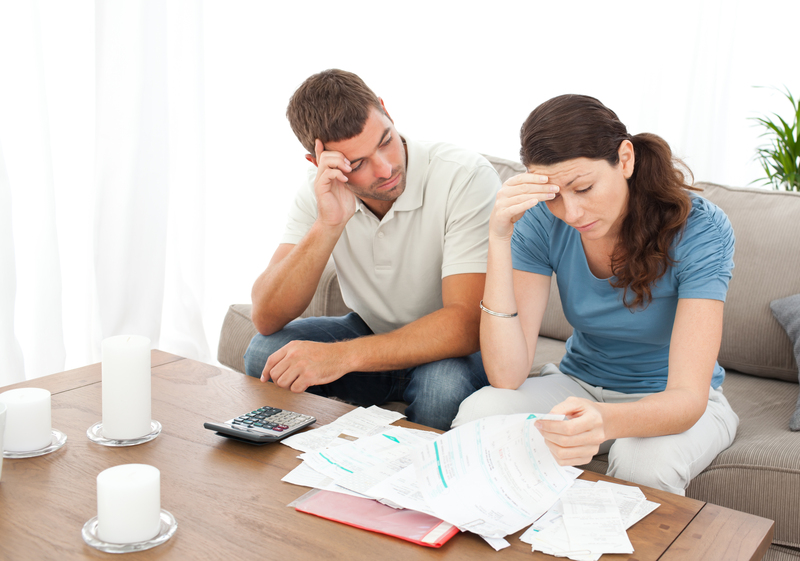 My husband and I fell on rough times and as a result, ended up with a LOT of credit card debt. We have prayed, worked hard, and paid it down as much as we can but still have some left. Together we have approximately 15 credit card accounts but only two have balances on them. Would it be best to close the unused accounts or leave them available/open? How would this impact our credit score if we closed them or if we left them open? I’m sorry you have experienced hard times. There is always a good lesson the Lord teaches us through our pain and it sounds like you have been very motivated to escape the trap of credit card debt. The rich rules over the poor and the borrower is the slave of the lender. You ask a very good question. Navigating the complicated world of credit scores and reports can be overwhelming. I’m sure you would like to be rid of any reminder of financial pain. Just know that closing your credit cards will not raise your score. In fact, your credit score could be negatively impacted, but we will talk more about that after some explanation. Consider this: If your open accounts have positive credit data, it can stay on your credit report indefinitely. However, zero balance, closed accounts without negative history can remain on the report 10 years from the date the accounts is closed. This allows the positive information to remain longer than most negative information. Bad marks, like late payments and foreclosures, will come off after seven years under the Fair Credit Reporting Act. High credit scores come from having much more credit availability then you have used. Your balance-to-limit or “credit utilization ratio” is what lenders and credit bureaus are primarily interested in. A low ratio is usually a good credit risk. For example, a $1,000 balance on an account with a $10,000 limit equals a 10% ratio. This is much better than having a $1,000 balance on a $2,000 available limit or a 50% ratio. Thus when you close accounts, your “available credit” is greatly reduced so your ratio will likely increase and your credit score will decrease. Once you get to a zero balance, you can close cards because your credit utilization ratio will be zero. If you’ve established good credit, the impact of card closure should be minimal and short-lived. I recommend that you operate with only one credit card so long as you have the self-discipline to avoid running up a large balance. So, here is my advice for deciding which accounts to close. The longer you and your husband can live without using credit cards, the less likely you will depend on them later. Managed wisely, a credit card can be very useful. People typically spend less when using cash and it may be a good idea for you to switch to an all-cash budget for the time being. While I understand your primary concern is your credit score, the most important asset you have is your character and integrity. By paying down these accounts, you have shown the diligence and strength to do the right thing. Your credibility score is high and pleasing to God. To avoid mistakes like this in the future and to be prepared should more hard times come, I recommend that you establish an emergency savings account. An emergency account will grant you the funds for unexpected expenses and prevent you from using your credit card in a crisis. If you have not already done so, open a savings account at your local bank that will be available to you immediately without penalty or cost for withdrawals. This money is for emergency use only. Begin to save a portion of your gross income using automatic deductions from your paycheck until your fund reaches at least $1,000. Once you reach that, aim for three and then six months of living expenses. God wants us to save and have extra resources to take care of our families and be in a position to serve Him and others so that He will be made known and glorified. It’s an opportunity to honor Him and experience His blessings. In addition, make giving your first and most important financial priority. Commit a percentage of your income to tithe, and do it consistently. When you acknowledge that it’s all His, you can joyfully give to His work. It’s a matter of consciously paying Him first and will help you keep your overall priorities straight. Use your credit cards only for budgeted items. If something is not in your budget for the month, don’t buy it on credit. Pay your credit card off in full every month so you never pay interest. The first month that you cannot pay off your credit card bill, destroy the card and don’t obtain any others. Knowing you worked hard to get your debt paid back, I hope you will make every effort to live differently. Aim to do as Paul wrote in Romans 13:8: Owe no one anything, except to love each other, for the one who loves another has fulfilled the law. If you need expert advice regarding any of these accounts or a debt management plan to deal with your final two credit card accounts, please contact our friends at Christian Credit Counselors.